Well, I am just in the middle of the same project. Have you JP already solved the handbrake problem ?? 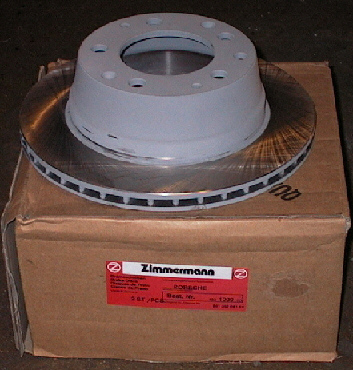 Here are some pictures about my new rotors. Dave, I think we were discussing about rear rotors. I think Jim is right. And, I think if you use 84-89 rotors in the rear of 914, you have to use spacers between calipers & mounts and rotors & hubs. With the older 69-83 rotor you have to use spacers only between calipers and mounts just like JP told. Am I right ?